Smart speakers can do many things, but consumers mainly want them to stream music. Of all the many uses of smart speakers, listening to streaming music services is at the top of the list, though just barely ahead of asking questions. While a majority (70%) of consumers use their speakers to listen to a streaming music service at least monthly, more than a third (38%) do it daily. Overall, most (83%) consumers have at least tried it, according to a survey of 1,000 U.S. adults representative of U.S. Census demographics conducted by Voicebot. Asking questions is a very close second for smart speaker usage, with 37% asking daily, 66% monthly and 84% have tried it at least once. As anyone may have guessed, the third highest usage is checking the weather, with 36% of consumers doing it daily and 61% monthly. While those three activities dominate smart speaker daily usage, there are many other things being done. For example, 24% use them to set an alarm, 23% to set a timer, 21% to listen to radio, 18% to use an Alexa skill or Google action and 11% to play a game or answer trivia. As smart speakers become integrated into smart homes, 24% of consumers already use them to control smart home devices daily and a third (33%) monthly. Not yet high on the list is purchasing. A mere 4% use their speaker to make a purchase daily and 15% monthly. More incentive may be required to give purchasing a shot, since only about a quarter (26%) have ever tried making a purchase. 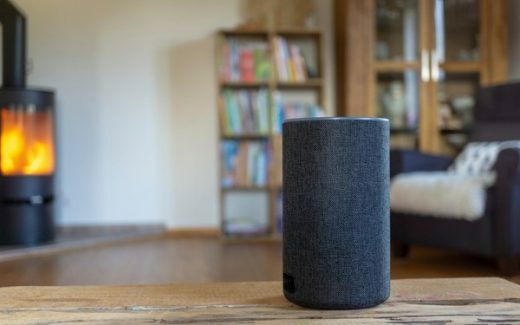 However, retails should be aware that while the actual purchasing is not yet done via smart speaker, 39% of consumers are using their smart speakers to search for product information at least monthly. That’s just how mobile commerce started.